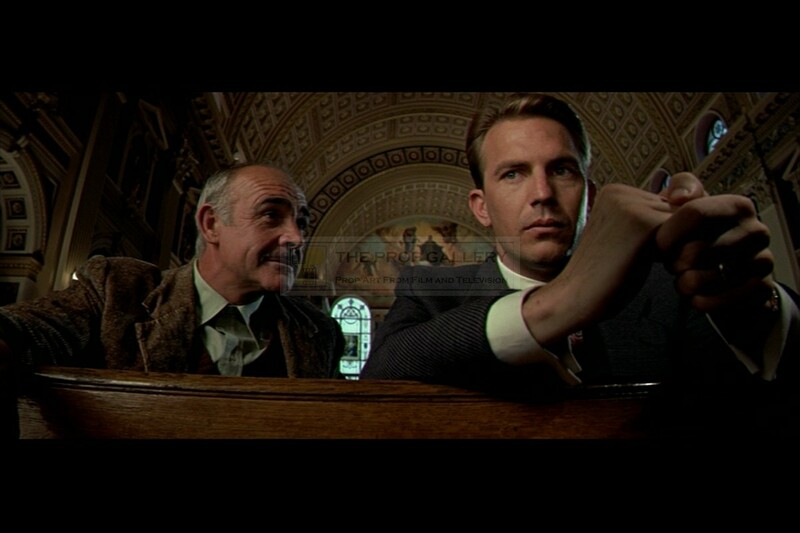 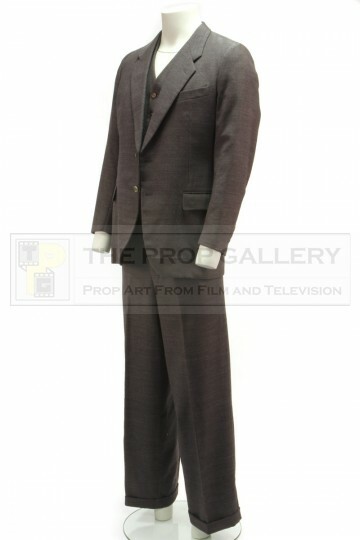 An original costume used in the production of The Untouchables, the 1987 gangster picture featuring an ensemble cast under the direction of Brian De Palma. 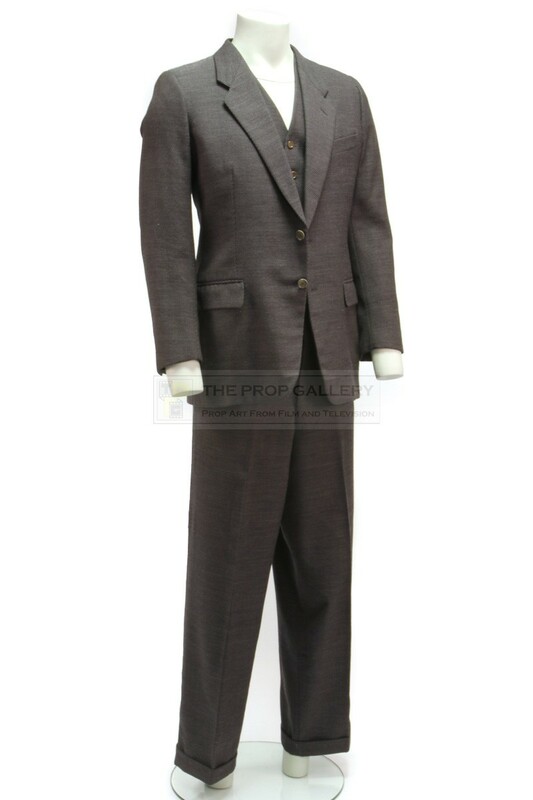 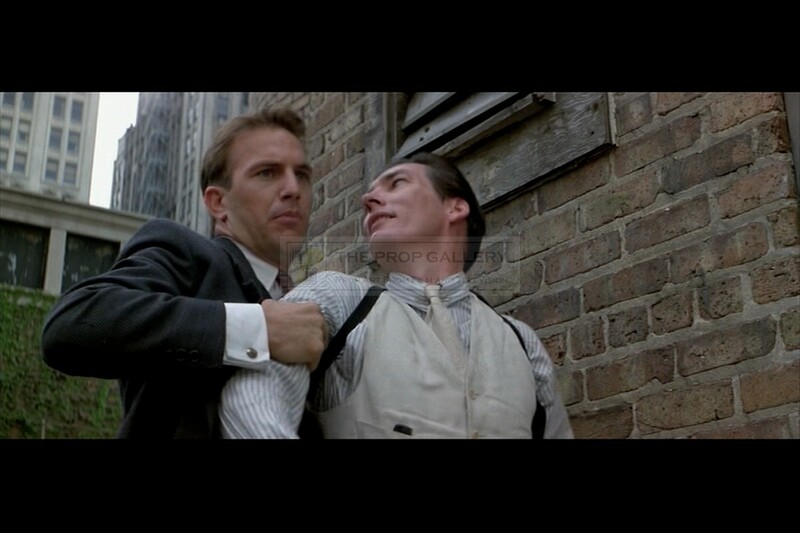 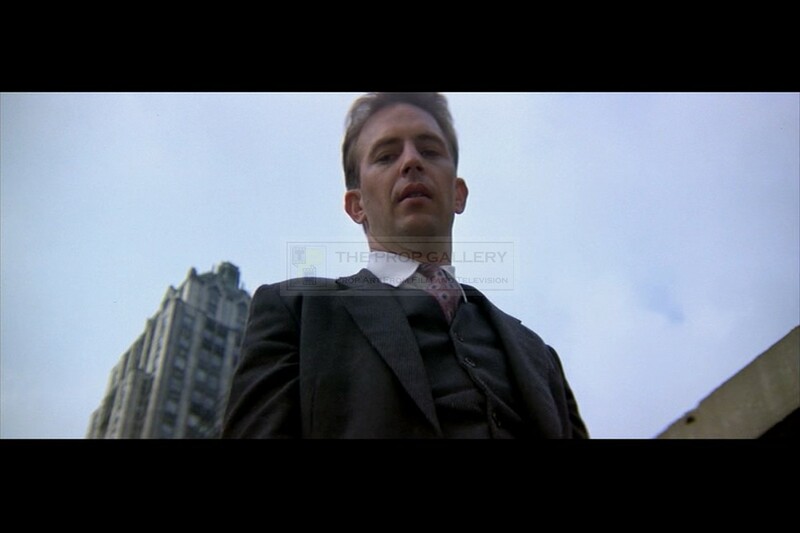 This suit was visioned by noted fashion designer Giorgio Armani and bespoke made for the production by leading industry tailors Western Costume for use by Kevin Costner as prohibition agent Eliot Ness. 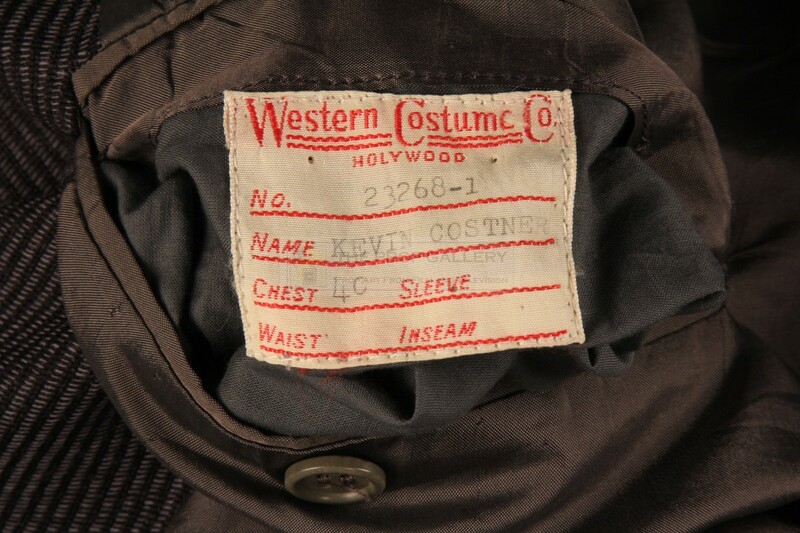 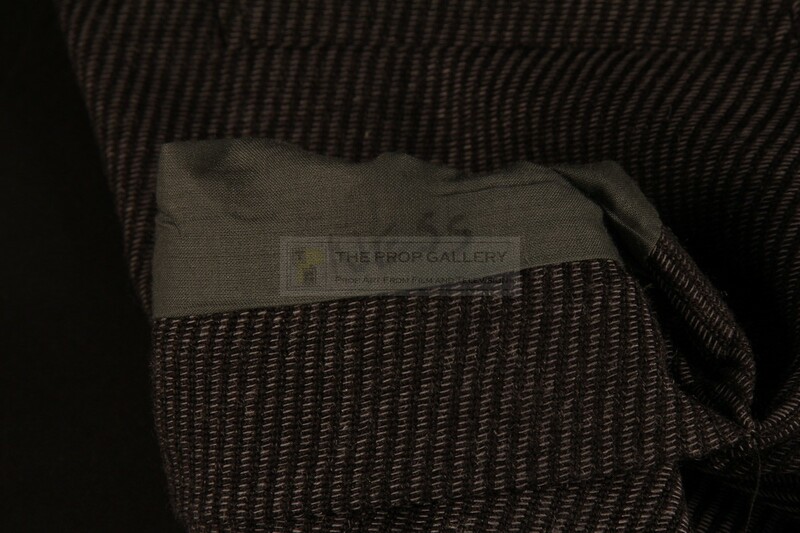 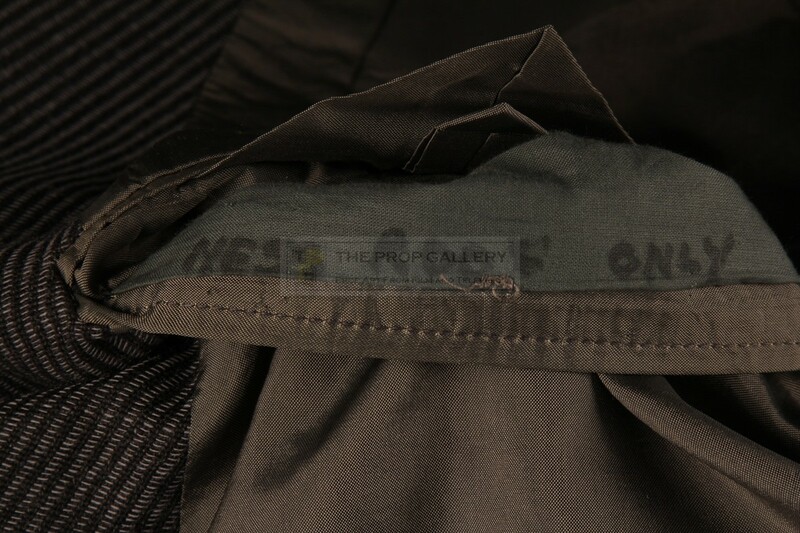 The three piece suit comprises of jacket, waistcoat and trousers of dark grey material with the jacket featuring the original Western Costume label to the interior pocket which is type written '23268-1, KEVIN COSTNER', this pocket is further hand inscribed 'NESS ROOF ONLY' which indicates that this is the exact suit worn on screen as he pursues Frank Nitti (Billy Drago) on the rooftop. 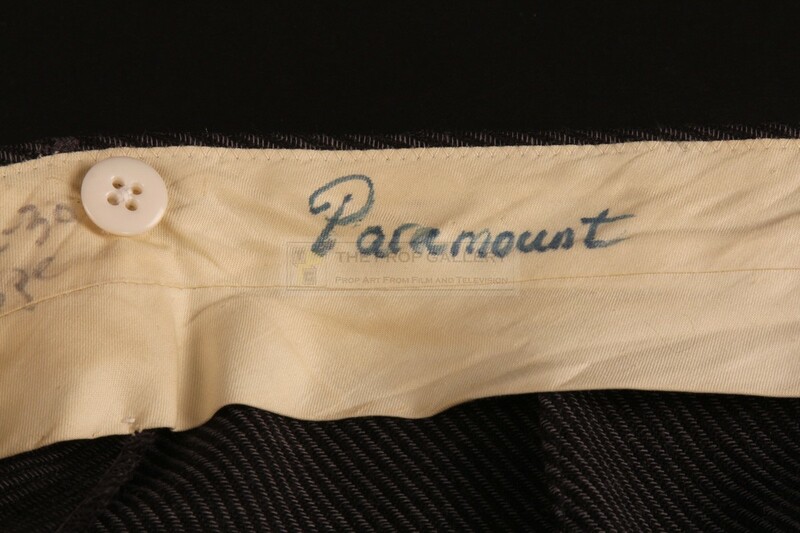 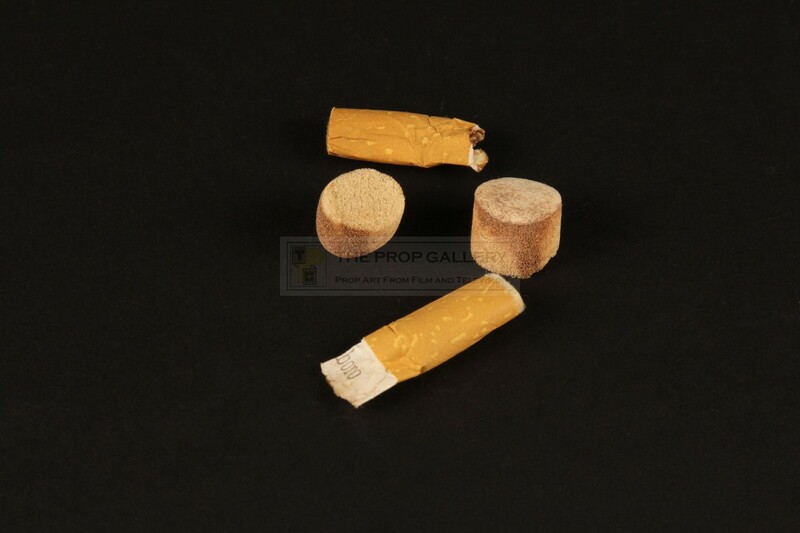 All three elements of the costume feature hand inscribed sizing information with the waist of the trousers additionally inscribed 'PARAMOUNT', the pockets of the jacket contain a pair of earplugs presumed to have been worn by Costner during the production and two cigarette butts. 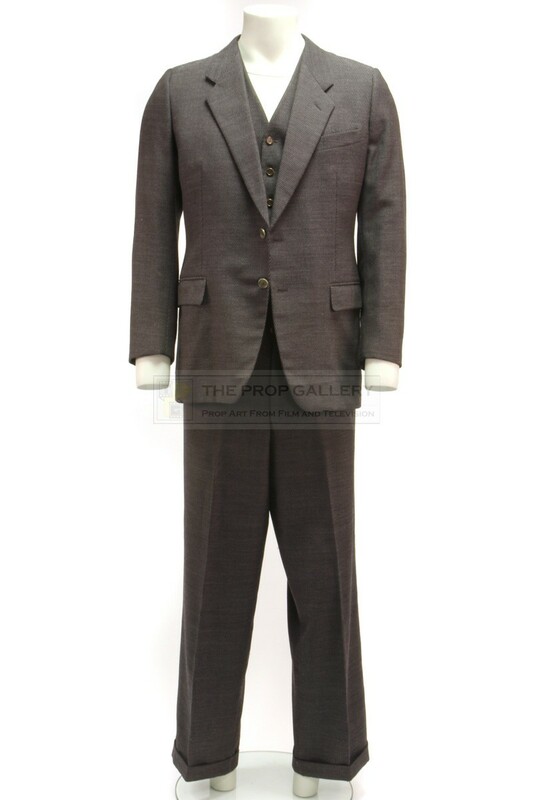 The costume remains in excellent production used condition with only very minor wear, extremely fine. 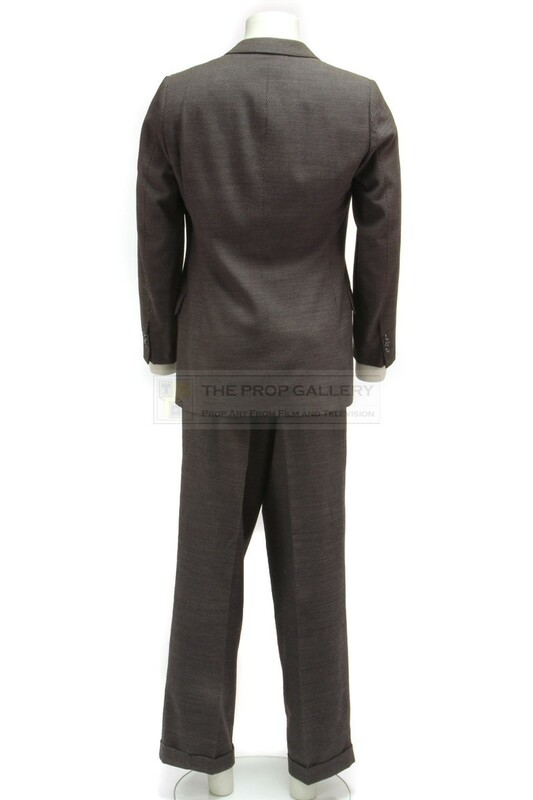 A fine example of principal character wardrobe from this highly regarded production which saw Marilyn Vance nominated for the Academy Award for Best Costume Design.